10 Things Everyone Should Know About Their Feet!! A foot is the most neglected part of our body. We hardly care about it. Very few people go to the parlor for a regular manicure session. So, if you had been ignoring the calls of your feet to clean and polish it, do read this article to find some surprising facts about them. Public showers are not safe for people because they contain the athlete’s foot fungus. So, when you are going to one be sure to have your water shoes or slippers on. Pointy pumps irritate the bunions and often they get swollen. This can be a cause of pain not only now but as you age. It is thus better to avoid high heels while walking except those that have a wide toe box and are less than 2 inches. There are certain indications that your feet fives towards your health. Suppose, if your toe hairs disappear suddenly or the skin gets thinner, then it is caused due to PAD or peripheral arterial disease. Poor circulation can cause such a case. This is a major indication of problems pertaining to the heart. So, if you witness a dry skin or foot injuries that aren’t healing from a long time, make sure to visit a podiatry clinic in runaway bay. Studies have found that if the second toe is bigger than the first one then you are at risk of back problems, hammer toes and bunions. Talk to the podiatrists to find out the best kind of footwear for your feet. Even if you are not aware, your feet get bigger as you age. So get your feet measured to find out what is the true size of your feet to avoid the discomfort of wearing shoes. 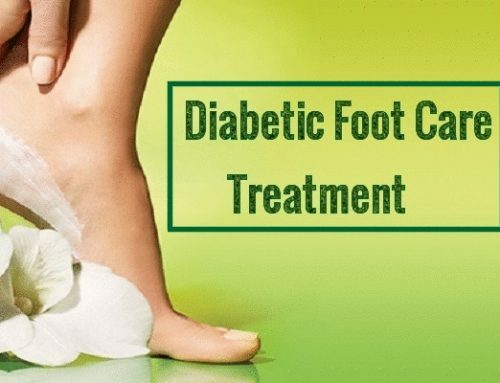 Diabetes causes blisters on the feet. Check the feet daily for cuts, ulcers and redness. If they are neglected bigger wounds may be caused. A serious result might cause leg amputation in the persons who have grown fungal infection. If your toes are growing a fungal condition then they are hard to get rid of. Only with proper care and medicines, you drive them away. When you keep your toes blocked in shoes for a long time, they smell bad. You can prevent the smell by using the same roll-on deo that you use in the armpits. Some people have weaker ankles by birth. Spraining them can actually help in making them stronger. If you see that your feet are developing redness or paining, then it is probable that you are not lacing the sneakers right. Just skip the two holes in the middle and make a vertical loop on the sides of your shoes. Knowing this point are a must for everyone. If you know them you will be able to take better care of your toes.